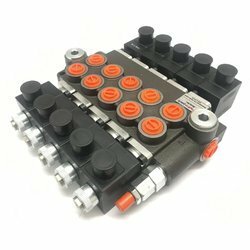 Manufacturer of a wide range of products which include directional control valve with solenoid control zc100 es, on- off control electrohydraulic directional control valve, rock breaker hydraulic valve, rotary diverter valves, p 80 directional control valve and monoblock valves. 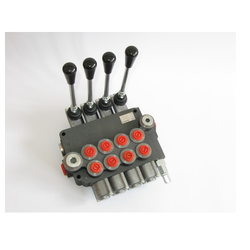 Directional Control Spool Valves/Direct Solenoid Control Sectional Valve with Direct Solenoid Control ZC100 ES. The sectional control valves-solenoid operated, offer a perfect choice for the designers of new applications. With eight special spools these valves can meet the specific needs and variations of your application and hydraulic schemes, by their double and single acting spools. Mounting The mounting is the same as standard sectional valves using bolts M8 or complete line of stud kits. 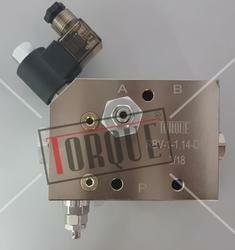 Electrohydraulic Valve ON-OFF control with fixed PRV P80ED3-G-12/24VDC. The rotary hydraulic distributor includes a rotor rotating in the body. When the rotor is set in the selected position, input and output ports are connected in different combinations, allowing start, stop or change of pressurized fluid direction. 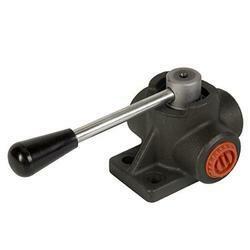 The body is made of cast iron EN-GJL300, and the rotor - of carburized steel with hard chrome plating. 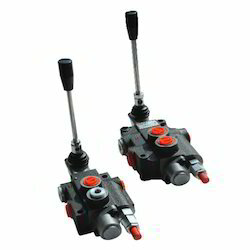 General Description :We at IEE offer manufacturer BADESTNOST Directional Control Valves :The Badestnost make directional control valve is used for starting, stopping and controlling the working liquid flow between the generators of pressurized flow (hydraulic pumps), the consumers of such a flow (hydraulic cylinders, motors and so) and the tank. 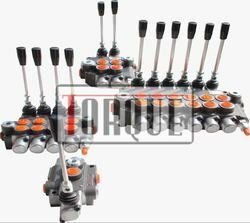 Construction :The directional control valve is a monoblock type, manually operated. In production is a variant of working liquid parallel, series or series-parallel distribution. 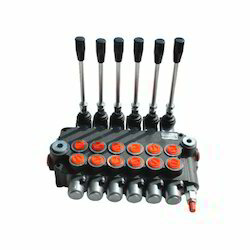 We at IEE offer manufacturer BADESTNOST Directional Control Valves :Description : The hydraulic distributor 100 is used for switching on/off and directing the working fluid between head flow generators (hydraulic pumps), head flow consumers (hydraulic cylinders, motors, etc. ), and the tank.Construction : C100 is a sectional directional control valve with manual control. 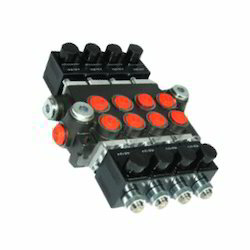 The distributors are manufactured as either parallel or serial working flow distribution versions. They can be integrated in packages of up to 8 sections. 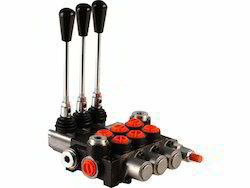 We are Importer and Manufacturer Badestnost directional control valves which are widely used for starting, stopping and controlling the working liquid flow between the generators of pressurized flow (hydraulic pumps), the consumers of such a flow (hydraulic cylinders, motors and so) and the tank. 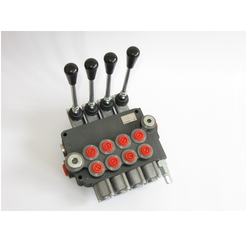 The directional control valve is a monoblock type, manually operated. In production is a variant of working liquid parallel, series or series-parallel distribution.